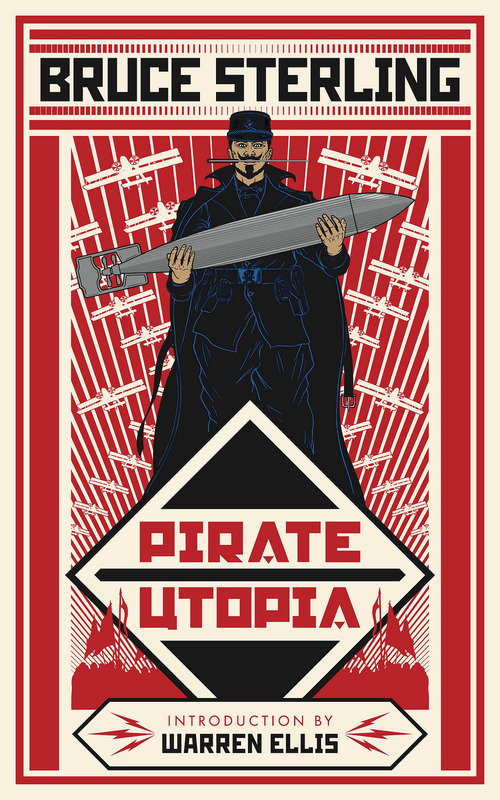 Cover Art for Pirate Utopia by Bruce Sterling Unveiled @bruces #ArtTuesday « Adafruit Industries – Makers, hackers, artists, designers and engineers! Whom are these bold rebels pillaging their European neighbors in the name of revolution? The Futurists! Utopian pirate warriors of the diminutive Regency of Carnaro, scourge of the Adriatic Sea. Mortal enemies of communists, capitalists, and even fascists (to whom they are not entirely unsympathetic). Via Bruce’s tumblr; photo on Flickr.